« Where does chocolate come from? Eladio Pop’s jungle farm. 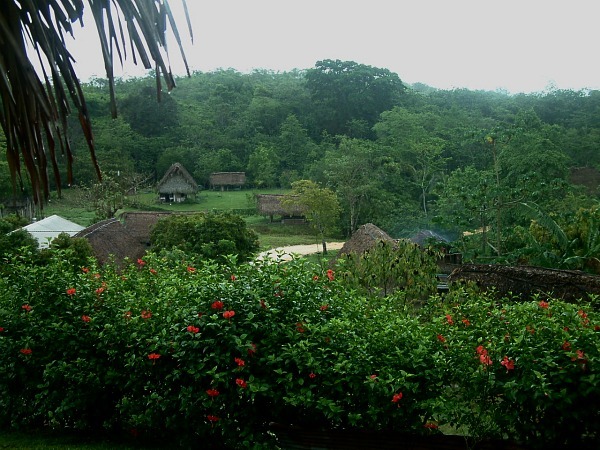 As we left Eladio Pop’s cacao farm deep in the Belize rain forest headed toward his family’s homestead, it began to drizzle. We were ready for lunch after spending the morning tromping about his 30-acre jungle farm and learning about the growing cycle of the cacao bean. The bus wheezed up a steep road past a cluster of thatched houses and parked next to a simple cinder block building. 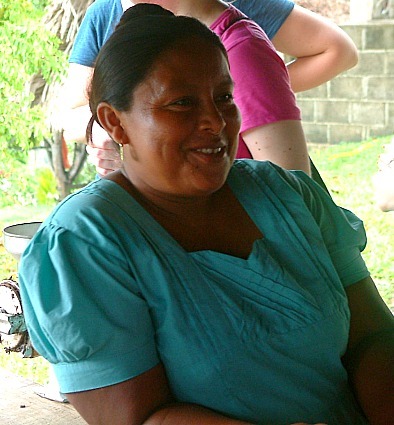 Inside Eladio’s wife and eldest daughter twirled between the stove, a long wooden table and back again delivering plates of food, a blur of turquoise in their matching dresses. Their stout frames and tightly bound hair looked so much alike they could have been mistaken for sisters. 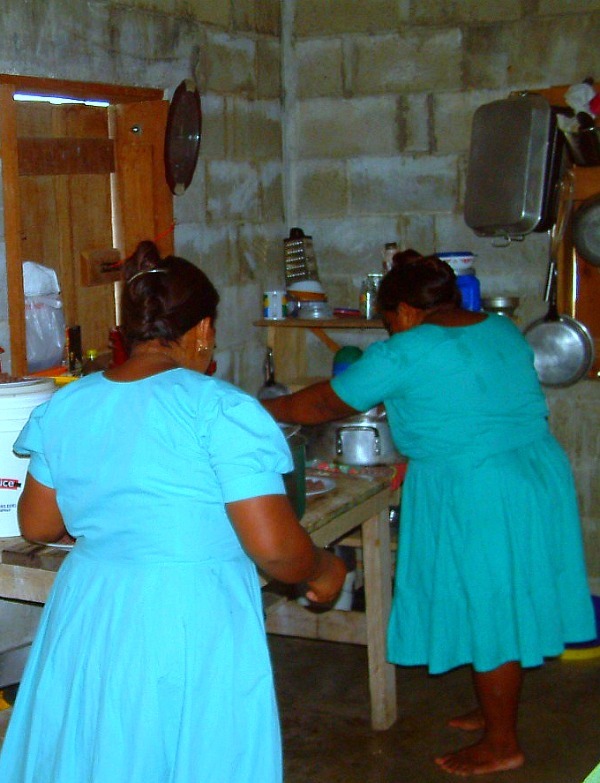 The natural light was dim in the kitchen where we ate our lunch of rice, beans, and chicken. I was hesitant to distract them from their duty of feeding our group of 20 tourists but I snuck one photo of the pair at work. 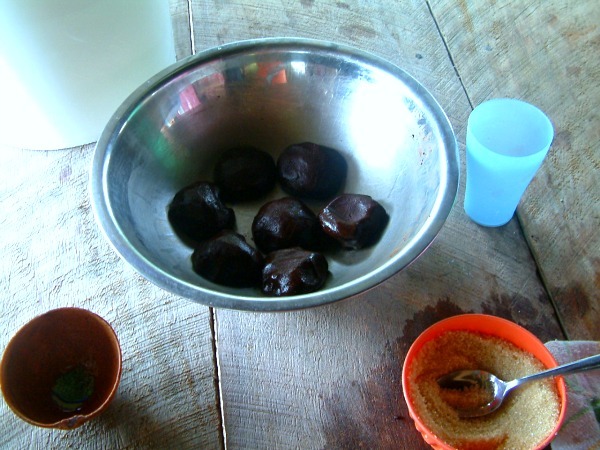 After the meal was finished and the plates cleared, Eladio told us more about growing cacao as he cradled a bulging bag of dried cacao beans between his knees. I was only half listening. A full stomach and the sound of the rain on the roof was making me drowsy. 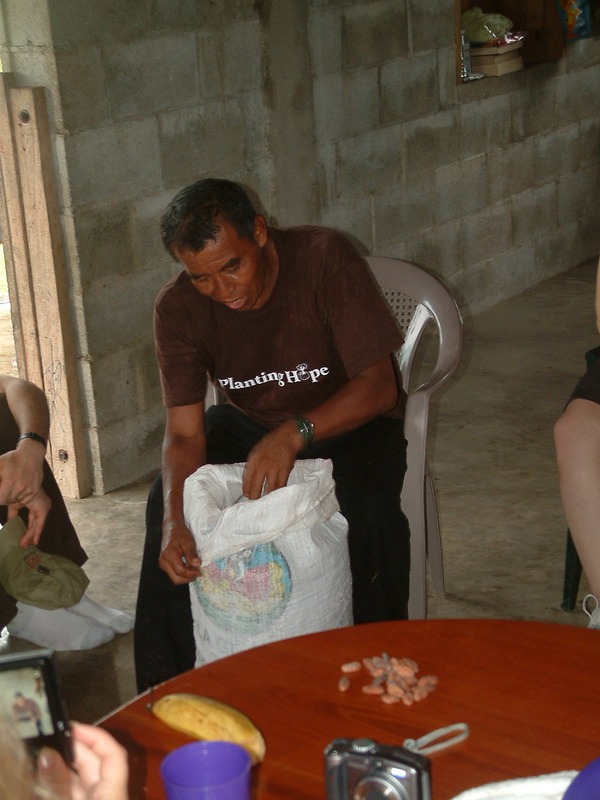 Eladio dug into his bag of beans and passed a sample around for us to look at and to taste, if we wanted. Then we stepped outside and across the dirt courtyard to a pavilion with a rustic, knee-high stove. 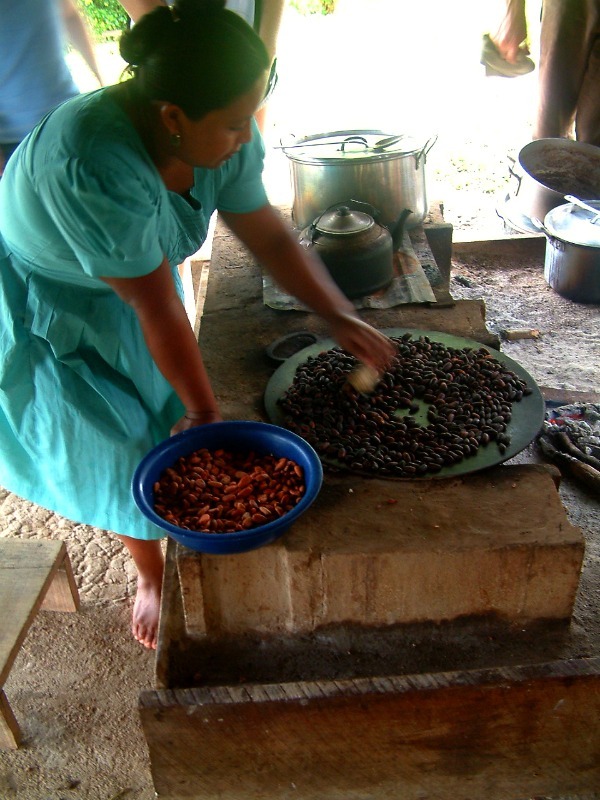 We crowded in, some of us perched on plastic lawn chairs, others leaned against the smooth posts that rimmed the edge, and watched as the daughter (I wish I remembered her name) scooped dried cacao beans onto large sheets of metal balanced over the open flame. She used a dried corn cob to stir the beans to ensure each one felt the heat from the metal to draw out the base, earthy flavors of chocolate. 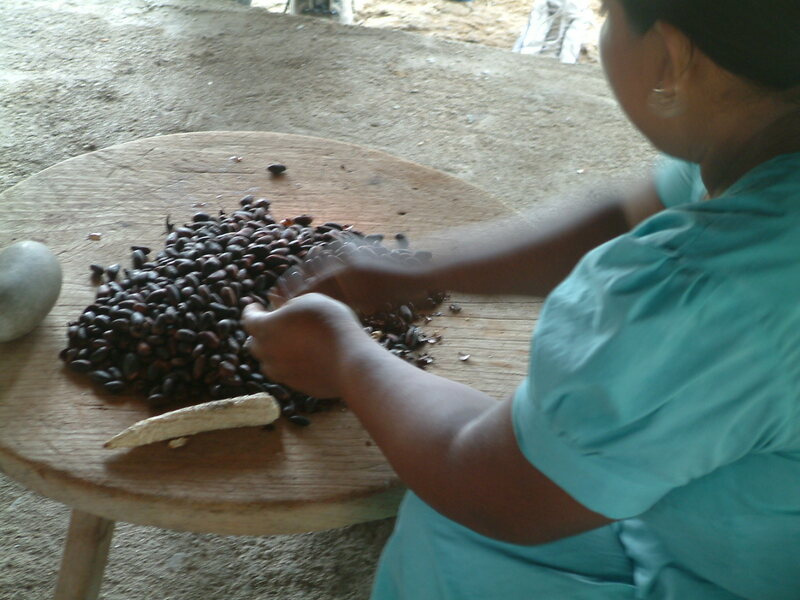 When the beans were fully roasted she dumped them out on a squat table and used a small round stone to crack the shells off the beans leaving behind cacao nibs. We all took a turn pounding the pile of beans. Next came the winnowing process, sifting the exposed beans through a mesh pan to allow the lighter outer shells to blow away, leaving behind the meaty nibs. The nibs were then passed through a hand-cranked grinder. This is hard work. 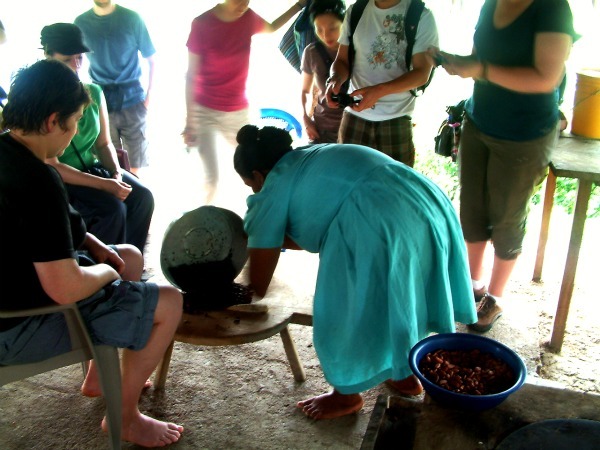 The warm jungle air felt even hotter with the heat from the nearby fire and beads of sweat flew as we ground the cacao into chocolate paste. We ground and took pictures. The smooth paste was shaped into round patties. 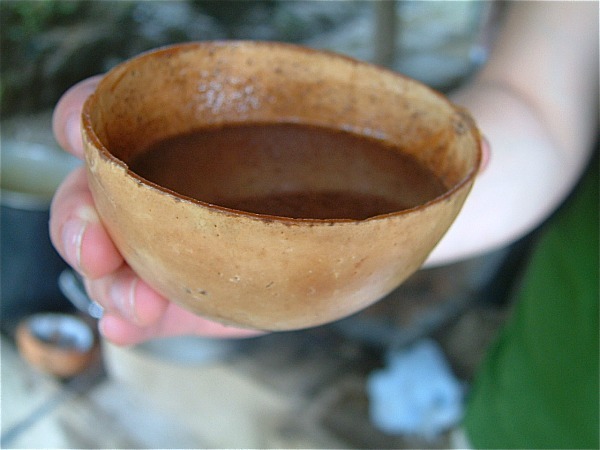 These were stirred with water, raw sugar, and pepper in large colorful plastic jugs to make the famous Mayan chocolate drink. 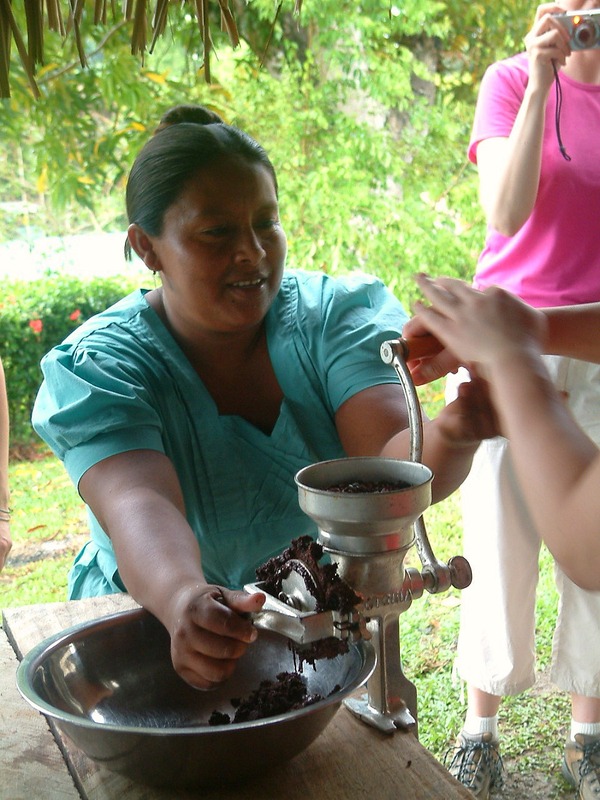 “Chocolate” is derived from the Mayan word “xocoatl.” Many of us know chocolate as solid bars, but for most of its history – back to 500 B.C. – chocolate has been consumed as a drink. 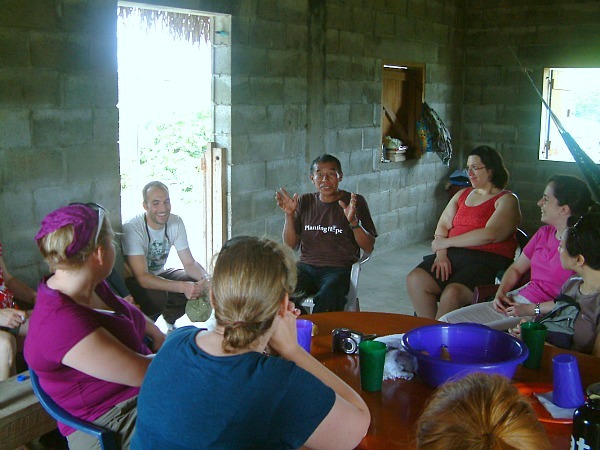 It was revered by Mayan priests and used in ceremonies by royalty. 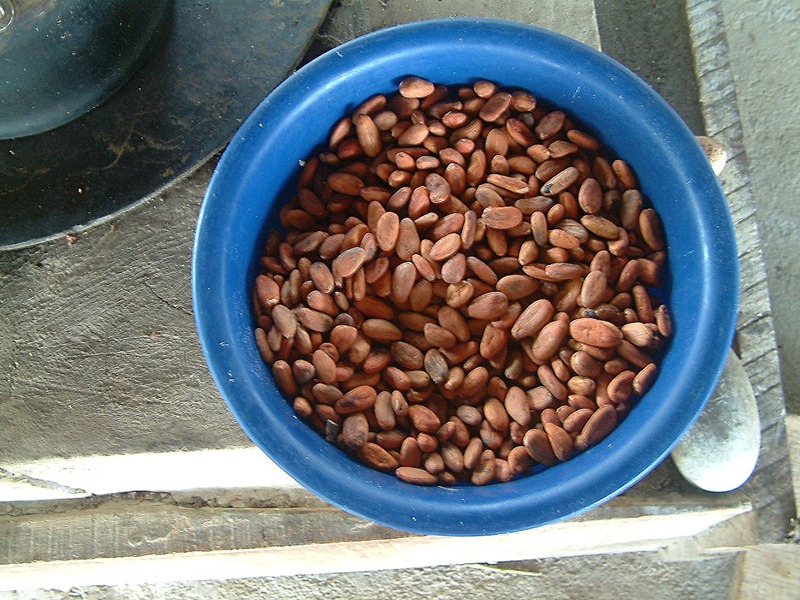 The valuable cacao seeds were traded as a form of currency to barter for corn and other commodities. 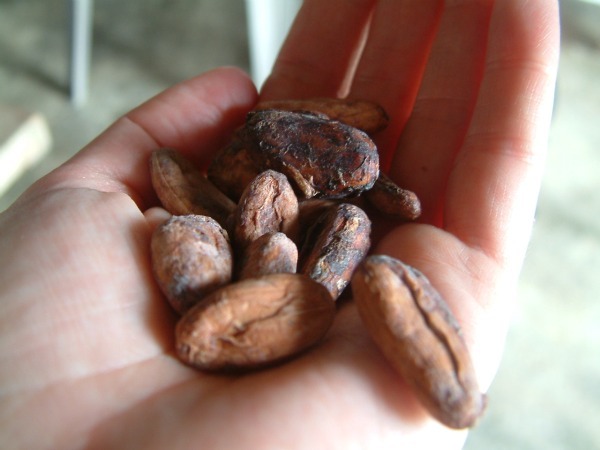 Spaniard Hernando Cortés discovered storerooms of cacao when he arrived in 1512 to conquer the Aztec. 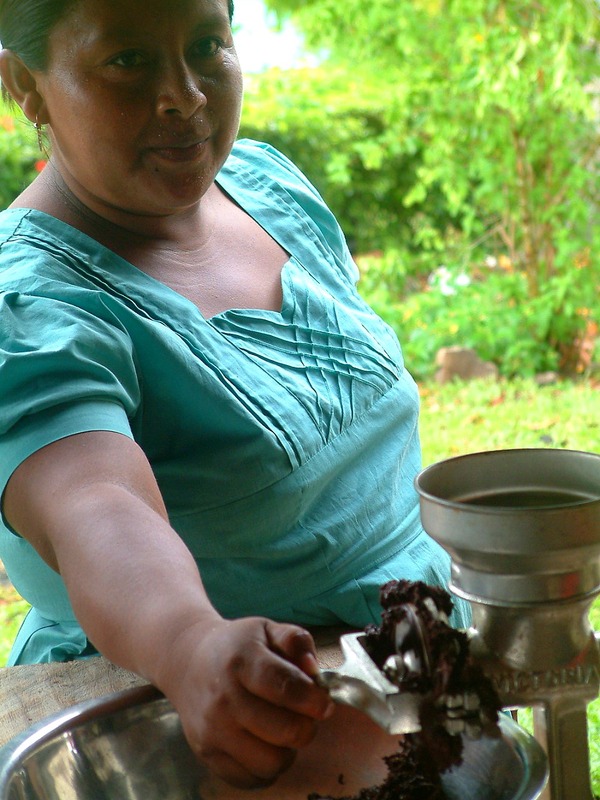 Expanding trade routes brought cacao to Europe where the Europeans added sugar, a sweetner unknown in Central America. By the 1700s, elite Europeans enjoyed sweetened chocolate drinks, sipping from elaborate cups and discussing politics in “chocolate houses.” The demand for both chocolate and sugar took off, eventually forming the powerful, global industry that it is today. Eladio likes his chocolate drink in the brightly colored plastic cups that you can buy in town. He laughed at those of wanting to drink from dried gourd cups. “I drank from those when I was little, with my mother,” he said. To us that meant: Authentic and historically accurate. Cheers to us! We are in the jungle being authentic. The chocolate drink was more bitter than sweet. All the while young children played around the pavilion watching the tourists watch their favorite drink being made. Here Eladio jokes with one of his youngest sons. I’m sure he prefers his chocolate drink in a plastic cup, too. 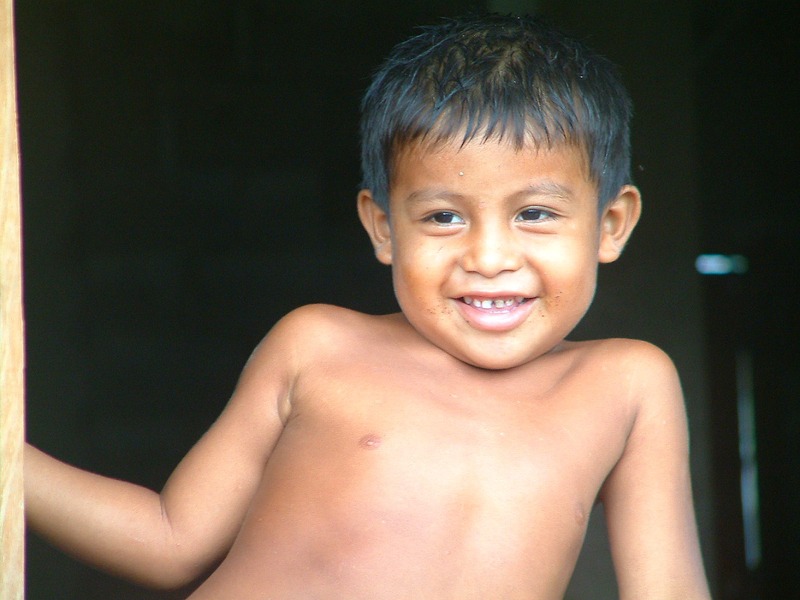 I like to think of him as the next generation of Toledo District cacao growers. But who is to know for certain? When we were finished Eladio’s daughter spread out some of her crafts, including carved gourd cups. I bought one with a cacao tree and a tiny agouti standing beneath it, Eladio’s “friend” from the jungle farm. 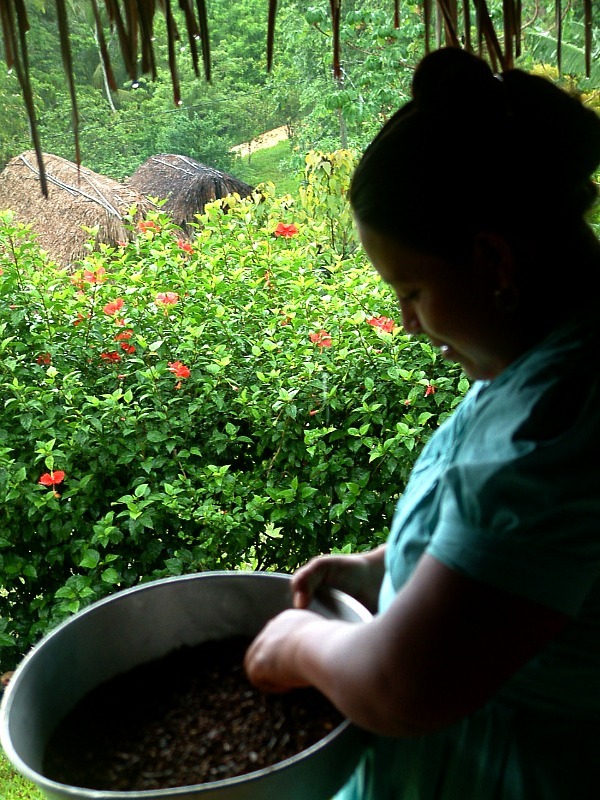 It now hangs in my kitchen as a reminder of the day I met a cacao farmer, helped to grind freshly roasted beans into a dark paste, and drank chocolate from a small, round brown cup. Where does chocolate come from? Eladio Pop’s jungle farm. Ohhhh, I LOVE this! Thanks Kendra! I used to make something very similar based on what I had read about in a book long ago. But this is a great recipe and I look forward to trying it! How did your chocolate drink come out? That was such a great trip. I will definitely check out your journal.